Warning! If you have a swarm of bees that are threatening the safety of you, your family or your neighbors, don’t hesitate – call your Paramount bee removal experts at Bee Busters! Communities of western settlers have been living in the area of Paramount since 1781. The name of the county dates to 1948; however, the US postal service merged the offices of Hynes and Clearwater. It took another 9 years for this area to incorporate into a city. The community’s claim to fame comes from the California State Historical Landmark called the “Hay Tree”. This is a mature camphor tree under which the global hay standard was set for many years. The area’s rich agricultural history includes both hay and dairy farms. Along with this comes a rich habitat for bees. As such, it is paramount to hire the best local bee removal service — Bee Busters! Noticing bees around your home is not usually cause for alarm, if you have flowers or water that might be attracting them. If you lack these and see bees you may have a colony on property. 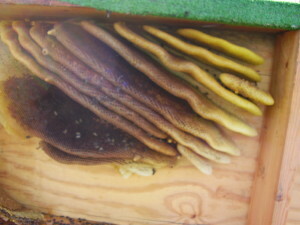 While some bee colonies will build in the open, more likely they will select a hollow in a tree, wall, or other object. Bee Busters, the, Paramount bee removal team, will safely get rid of unwanted bees, wasps, and yellow jackets. They can prevent resettlement due to pheromones and left behind honeycombs by teaching how to seal the area. 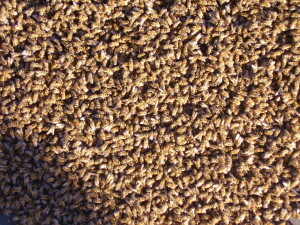 Removal also prevents damage from other pests or melting wax and honey. Bee Busters, Inc. works for residential and commercial services specializing in removing bees with tools and skills that are the most innovative in the country. Our services include Bee Removal, Bee Rescue and Beekeeping which are important elements of our business. 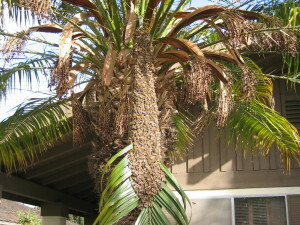 Paramount Bee Removal: Problem bees are never too problematic for Bee Busters. We will remove both the colony or swarm and the honeycombs they have created. Since all wild swarms now have Africanized Honeybees, safety is a primary concern. We also ensure the property owner has enough knowledge to prevent future bee related issues. Paramount Beekeeping: We have beekeeping solutions. We perform on site pollination, educational programs and beekeeping training. We also sell fresh local honey. Keeping domestic bees is a great hobby for any age. If you want more information please give us a call. Bee Busters, Inc. has over 25 years of experience in providing Paramount bee removal services. We handle a lot of bee problems. Call 949-497-6264 for more information on our commercial or residential removal service for bees, wasps and yellow jackets. Contact your Paramount Bee Removal Experts Today!